Sammy Nettling leads off first base. The sophomore catcher went 2-for-6 in the weekend sweep over Michigan State. 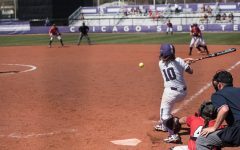 In its final Big Ten home series of the season, Northwestern sent its seniors off with a resounding sweep of Michigan State. 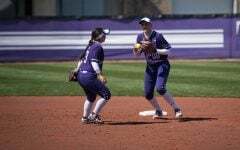 With its seven seniors as the core for this Wildcat team, NU (19-23, 10-7) played hard both offensively and defensively against the Spartans (22-25, 4-13) throughout the weekend. As the Cats currently sit in fifth place in the Big Ten, the three conference wins were imperative for the team’s hopes of making a run in the postseason. Friday’s 8-0 win was highlighted by the play of pitchers Kristen Wood and Kenzie Ellis. Wood, one of the team’s seniors, took the mound for the first time in conference play after sitting out due to injury. Wood and Ellis, a freshman, combined on a one-hit shutout in the run-rule victory, with Wood only allowing one hit in the fourth frame. Coach Kate Drohan said the team’s ability to play hard and stay composed gave them an advantage throughout the series. On Saturday, the Cats’ defense got its chance to shine, allowing only 2 runs and 4 hits over seven innings. 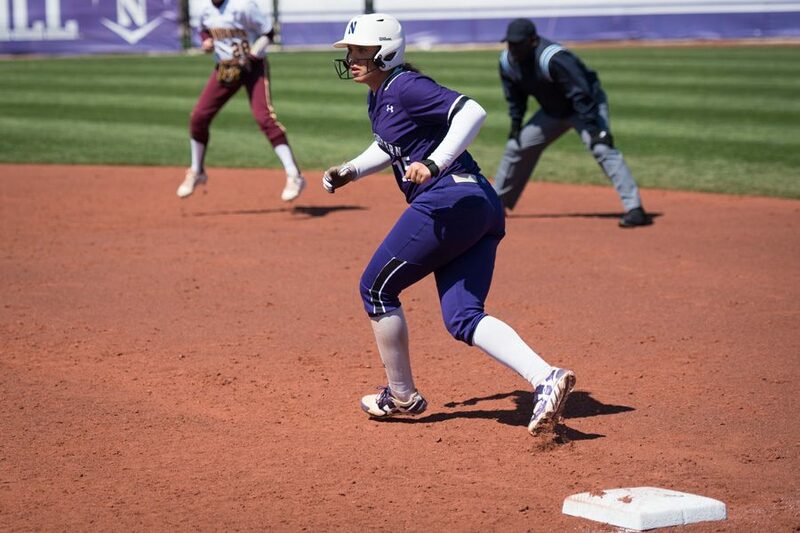 Although Michigan State scored 2 runs against senior pitcher Amy Letourneau in the third frame, NU held the Spartans scoreless for the rest of the matchup, while freshman third baseman Morgan Nelson helped the Wildcats score three runs in the third. A sacrifice fly by senior shortstop Andrea Filler brought Nelson home to secure the 4-2 win for the Cats. Filler, who currently leads the team in doubles and triples, emphasized the team’s grit and toughness as one of the keys to the weekend wins. NU took the field Sunday looking for another big day from its pitchers to secure the sweep. Wood and Letourneau split time on the mound, allowing 4 runs and 5 hits total, with the two combining for 8 strikeouts as well. However, Sunday’s highlights came from none other than Filler, who slammed two homers against the Spartans, including a three-run dinger in the bottom of the first. 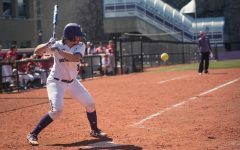 Although Michigan State was able to score three more runs throughout the game, NU’s offense proved too much to handle. Drohan said the Cats played well under pressure throughout the series — and this season — under strong leadership from the seniors. As conference play comes to a close, the Cats’ sweep against Michigan State will be the last series they will play versus a Big Ten opponent at home this season. For the team’s seven seniors, the sweep was bittersweet: Sunday’s game was their second-to-last on home turf. Filler said the ability to win big against Michigan State was the perfect culmination to a memorable weekend.